The Paige Group worked with senior management to identify a unique corporate philosophy that was used to create a new brand and marketing positioning strategy that more accurately reflected the corporation and its markets. From there, The Paige Group facilitated rollout sessions to educate employees regarding the evolution of the corporate brand, specifically the relevance to their roles and impact on current and potential customers, suppliers and partners. A comprehensive marketing communications program was also developed that included web development, public relations, media relations, sales collateral and support tools, analog and digital media, sales presentation materials, trade show support materials, direct marketing and point-of-sale. The goal of the campaign was to affect change in state procurement policy to allow a more equitable evaluation of SEACO’s product. In addition, The Paige Group helped increase public awareness of the product’s benefits as a way to exert influence on elected officials who could pressure decision-makers to better understand and evaluate the cost/benefit of the product. Our strategy was designed to generate public and key stakeholder group support, as well as increase understanding of SEACO product benefits at the local municipal and state level. Tactics included writing and placing trade and business journal feature articles on company and product success stories/benefits/profiles; submitting op-ed newspaper articles on inequities in bidding process/procedures; press releases on timely and relevant announcements, issues and topics; development of fact sheets and information kit; outreach to advocacy groups to promote product and influence decision-makers by raising public awareness; letter writing campaign to elected officials; mining existing relationships with government officials and policy-makers to highlight inconsistencies in bid process and affect change in selection procedures. The Paige Group’s efforts, in concert with SEACO management’s communication with state officials, resulted in agreement to change the procurement process to allow a more equitable comparison of competing products. Since 1999, The Paige Group has provided communications consulting services and creative services to the MVWA including a public information campaign regarding water quality and its benefits that included community education, public outreach, and the development of cooperative programs with businesses that serve water to the public (e.g., restaurants and hotels). Most recently, The Paige Group has been working with MVWA to establish a brand that communicates its points of distinction that separates it from other systems in the nation. The customer and public education program will include direct marketing, public relations and media relations, web-based marketing, and social media. In 2015-2016, The Paige Group worked with Cornell Cooperative Extension of Oneida County, program administrators of the North Country Eat Smart New York Program that covers a ten-county region. The Paige Group created the overall North Country Eat Smart New York campaign theme, marketing communications strategy, and plan designed to Educate SNAP-Ed target audiences about the three core messages. To date, the program has achieved over 13 million impressions throughout the ten county area and over $90,000 in additional media exposure at no added media expense. The Paige Group provided partner outreach services related to New York State Lifeline Discounted Telephone Service. The goal was to strengthen partner relationships; identify ways to better support partner efforts and improve effectiveness of educational materials; increase the number of Lifeline participants. The Paige Group developed and facilitated a multi-faceted series of workshops in eight locations throughout New York State. Participants included government and non-government agencies and organizations responsible for helping individuals and families apply for assistance programs and services. Based on a comprehensive analysis of workshop outcomes, The Paige Group developed a program branding strategy and key messages, recommended communications vehicles and other key findings and observations to help increase successful program outcomes. In addition, The Paige Group developed consumer materials related to telecommunications and water conservation. Materials included collateral, promotional materials, trade show materials and web-based tools. The goal of Vision 2020 is to strengthen educational and workforce pipelines in order to be Workforce Ready by aligning county resources with the demand for a broad range of skilled workers. Working with the County Executive, The Paige Group designed the initiative structure, methodology and outreach plan and continues to serve as team facilitators and provided guidance on plan development. Phase 1, focused on Workforce Readiness, is well underway with three committees, Education & Training, Access & Opportunity, and Housing. Phase 2, focused on Transportation, also has three committees – Connectivity, Alternatives to Automobiles, and Accessibility. 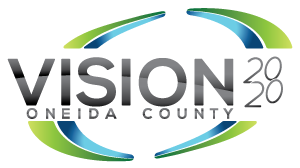 To date, Vision 2020 has resulted in tangible outcomes, including an increase of internships, the development of a County-wide English as Second Language matrix, and adoption of Section 485-a of the Real Property Tax Law to name a few. The Paige Group has worked with several initiatives throughout the country since their inceptions to assist in the sustainability of community partners and program providers, as well as spearheaded an effort to combine marketing resources to maximize exposure and effectively change behavior. Services included brand identity and market positioning, direct marketing, coordinated and grassroots activities, web-based marketing, public relations and media relations, and issue management and crisis communications planning and consulting. In addition, The Paige Group has worked with the national communications team that supports SS/HS grantees in an effort to coordinate communications materials and avoid duplication of services. MVCC engaged The Paige Group to develop a community assessment strategy, and research methodology, protocol and survey tool. The Paige Group facilitated two large focus groups – 300 faculty and staff and a first-ever all-program advisory committee event with more than 80 local businesses. In addition, we facilitated six focus groups and trained Cabinet members to facilitate additional small focus groups. At the same time, personal interviews with more than 30 local leaders who might not otherwise attend a focus group were also conducted. Overall, 874 individuals from more than 100 organizations participated – including 174 students who were surveyed on their perceptions of the College and the future of the community. The Paige Group analyzed the extensive qualitative data from the large group discussions, all 30 focus groups and 35 individual interviews, and the student survey data, into key themes and insights for the college to take into consideration with creating their strategic plan. The Paige Group set out to successfully generate dialogue and build support in order to successfully implement a community-based Master Plan. The plan was designed to make the City of Utica competitive in the regional marketplace. We were tasked with leading the public information and stakeholder process. This included facilitating a 50-member steering committee, building key stakeholder relationships, identifying issues, developing recommendations regarding the most effective outreach methodologies, media relations and conducting community dialogues. Essential to the success of the project were developing key messages and translating complex project data into consumable information. The Master Plan was adopted by the Utica Common Council and has become the blueprint for city development.